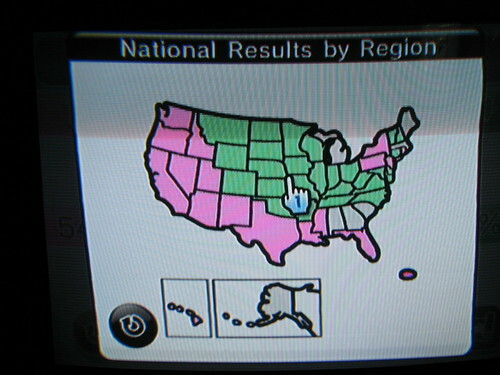 mommy bytes: Another Wii map - Do you travel? Another Wii map - Do you travel? How many states have you visited? I think many people from the Western states are transplants from other areas, where transplants tend to travel more. The gray states including Massachusetts are too close to call. This map doesn't follow any political divide but rather how apt people are to travel (you Midwesterners stay put, OK?). It doesn't even coincide with household income maps. Our family was split 50/50 sheerly due to the fact that the kids are too young to travel that extensively.